Adult Fitness Classes at i’move: 5 classes 25 times per week. The flagship i’move location in Spring Lake sits along Highway 31 – a well populated four-lane road that snakes along much of the West Michigan coast. Many of these folks pass by completely unaware of our adult fitness classes that we call i’move Fit (www.facebook.com/imovefit). This is our most popular class. It’s a moderate to high intensity class that will challenge you to be in your best shape. Using simple equipment and your body weight, you will blend strength and cardio exercise for a fun, high energy workout that will transform your body. This short, intense full-body workout challenges both your strength and endurance. This workout burns the maximum number of calories by using exercises that challenge the entire body, keeping your heart rate up the entire time. You’ll be kept on your toes with lots of variations and movements within the class routines. This class is a low to moderate intensity total body workout. You will gain the strength, balance, flexibility, and endurance to feel great in your body. Are you looking for a gentle way to get back into exercise? Do you want to feel more flexible? This low intensity class will do just that!RENEW is low-impact and designed to give you the flexibility where you need it most. This is a high intensity, fast paced, and safe total body workout specifically designed to rev up your metabolism and tone your body. If you are looking for a high energy and challenging class that will give you strength, endurance, and build lean muscle, this is it. We’ve designed our classes to work with whatever level of intensity you’d like. Together we can help you gain strength, recover from injury, lose weight, improve your balance, and just be healthier. As many of you may already know i’move and Michigan Sports Academies (MSA) have formed a new partnership to serve Grand Rapids area athletes at the MSA Fieldhouse. MSA is the area’s premiere team sports organization with Volleyball, Basketball and Lacrosse leagues for athletes in junior high through high school. This is a natural fit for i’move as we provide Athletic Performance Training, Physical Therapy and Wellness Solutions for individuals, teams and companies. Although this is our sixth location – it’s our first in Grand Rapids and we’re thrilled to be there. We think this provides MSA athletes with a unique opportunity. We’re not aware of any other program where the athlete has a 360° menu of services. 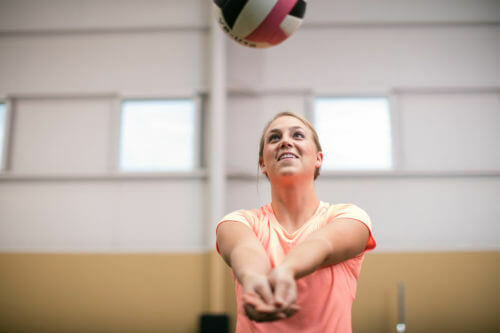 They have their team, their sport, and their competitions along with the performance training and physical therapy care to help them feel great and perform at their best. We’re so glad to be a part of bringing this unique partnership to life with our MSA counterparts. 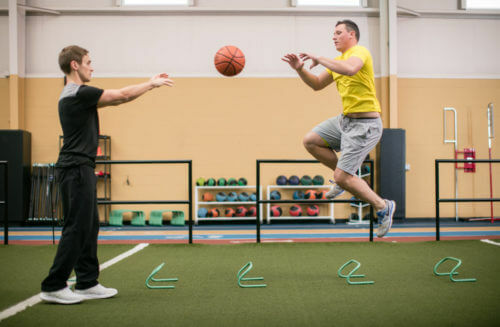 The good news in all this is of course it means our well-known Personal and Athletic Performance Training and Physical Therapy services are accessible to everyone in the greater Grand Rapids area. Our doors are open now, so you can schedule your appointment. Monday – Friday 9:00 a.m. to 9:00 p.m.
Tuesday 2:30 – 4:30 p.m.
Friday 3:30 – 6:30 p.m.
To schedule a Physical Therapy appointment call 616.847.1280 or email scheduling@imovedaily.com. In addition to services for MSA athletes, i’move also provides Physical Therapy, Personal Training and Athletic Performance services for the entire Grand Rapids community. We also have Physical Therapy clinics in Grand Haven, Holland, Spring Lake and Rockford. The Flagship Spring Lake Cove Street location also offers Athletic Performance training, Personal training and adult fitness classes in addition to Physical Therapy. Physical Therapy. Have you had it yet? Was it excellent? Physicians often ask patients if they had physical therapy (PT) for their problem. Years ago PT was considered a commodity, it didn’t matter where or how you had your PT it just was PT. Contemporary PT has changed. Physical therapy schools are better and more competitive, post-graduate training has exploded. Residency and Fellowship programs are flourishing. Like any profession, all PT’s aren’t equal. The healthcare consumer can no longer ask themselves, “Did I try PT”, but “Did I have excellent PT.” The PT’s at i’move are excellent. They work at i’move because they want more from their careers, they want to push themselves to greatness and they want the same from their clients. How do we achieve this elevated level of care? First, it starts with the whole person. We acknowledge the connection of the mind, the body and the spirit. We know the ankle bone is connected to the shoulder bone. Just because your shoulder is bothering you doesn’t mean that you have a “bad shoulder.” The shoulder blade sits on the rib cage, the posture of the rib cage is changed by the movements of the head and the legs. It all matters! The human body cannot be divided into segregated regions; we are whole beings with a series of interconnected parts and systems. Movement of one body part nearly always activates physical and mental chain reactions throughout the whole system. Physical therapists and doctors are often guilty of zooming in too closely on where it hurts; at i’move this will not happen. Secondly, excellence is achieved through advanced training. All PT’s graduated from PT school, which is a pre-requisite for licensure. The most important differentiating factor is what the PT did after graduation. Our PT staff is loaded with years of experience, advanced certifications, doctoral degrees and fellowship trained manual and movement therapists. It truthfully is not the exact certificate or credential that matters most but the provider’s mindset toward professional development and career growth. At i’move we have worked hard to create a positive, productive and professional environment that feels great for both our team members and our clients. We know that if our employees are not happy and healthy we cannot achieve those same results with our clients. If you have not experienced the i’move difference, I highly encourage you to give us a try. We are different and you will notice it from the minute you walk in the door. 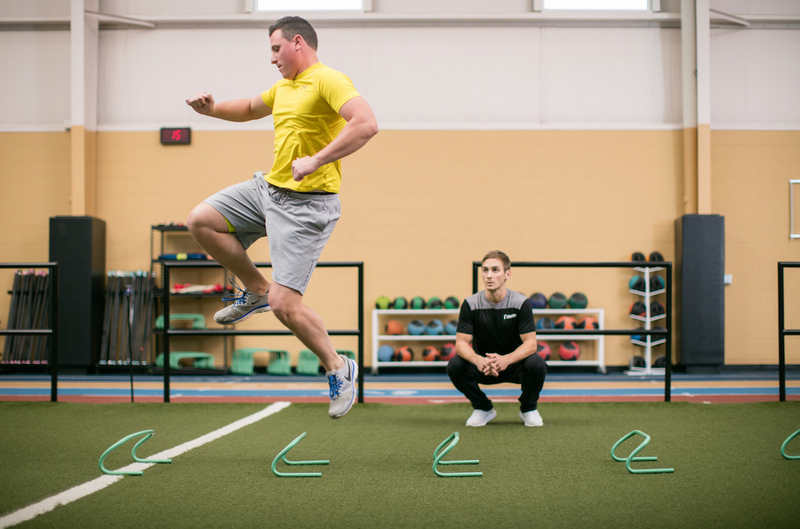 Selecting the right Athletic Performance Training for your child? How do you select the Sports Performance Training for your child? Start talking with anyone about Athletic Performance Training and it is likely many different opinions will be heard. Even at the highest level of professional sports, philosophy and techniques differ. With so many opinions how are you suppose to find out what is correct for your child? To help make this decision easier, here is a quick guide of what to look for. Simply having letters behind your name does not make you a good trainer, but the best trainers have a passion for improving their own knowledge. Due to this passion they will seek continuing education and have certifications to prove it. Continuing education is extremely important as the field of strength and conditioning is rapidly developing, information learned as little as 10 years ago may no longer apply. Do not take advice from someone who is not on the cutting edge of their field. And remember, not all certifications are not created equal. Environments between facilities can be drastically different. Picture loud music, heavy weights, and an instructor yelling at the top of their lungs vs. upbeat music, smiling faces, and a bubbly encouraging instructor . One situation is not inherently good while the other is not bad, but they are certainly for different people. Talk with your child about goals they have, talk sensibly about what type of environment they would be comfortable in. Remember, age, sport, and ability level should all go into the decision of what environment is best for your athlete. Many facilities may even allow a trial session before fully committing to a program. Training cost can be all across the board. Large groups of athletes are often trained together for as little as a few dollars per person. On the other hand personalized one-on-one training can cost upwards of $100 per hour. Experience level will also largely influence the cost of a session. Trainers just getting into the field will often charge much less than an experienced co-worker. So, the tough question becomes how much are you willing to spend? 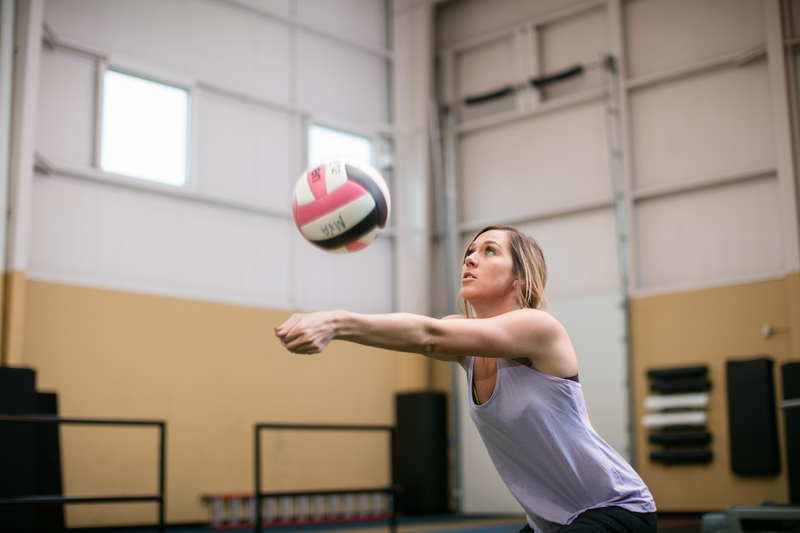 Think through what the benefits of an individualized program with personalized attention may be for your athlete. Or would they better be suited in a group of their peers, feeding off the energy and motivation of others? Will they benefit from and experienced trainer? Usually the answer to all these questions falls somewhere in the middle. Remember consistency of any training is key, so be careful not to commit financially to something that is not sustainable. We’ve worked with athletes at all levels from junior high to college to professional. Contact derek@imovedaily.com to learn more Athletic Performance Training at i’move. Here at i’move, we focus on three things for our interactions with each other within the business and with our communities outside the business: Communicate, Celebrate, and Connect. As we have grown over the last 11 years, our communication strategies have changed. We could write a message on the whiteboard in the staff bathroom if there was something our coworkers needed to know that day. Or we would draw a picture for the patients, so they would know what to do for their exercises at home. Dave’s pictures always were full of detail and precise body proportions; Marty’s looked like a scarecrow hula dancing. This blog that will keep you informed of new research and treatment techniques, ideas for keeping yourself and your family happy and healthy, special offers and other topics guaranteed to educate and entertain. We also want to use this website as a platform for Celebrating. i’move is up to 25 therapists now over 6 clinics, and they continue to add certifications and win awards. But we want to celebrate your accomplishments as well. You are achieving milestones after your time with us. Some of you have completed your first marathon, hiked to the bottom of the Grand Canyon, returned to your sport, or resumed exercising after being unable to do so for so long. We are proud of your accomplishments and are honored to play a part in helping you reach your goals! Finally, we want to use this new platform to Connect with you. We see our relationship with our patients not as one where you come in only after a doctor says you can, only after you have suffered an injury. Ideally, you see us as a partner in your function where you come in for preventative maintenance just like you do for your car. That may consist of injury screens, taking part in one of our many fitness classes each day, coming in a couple times a year to advance your exercise program, or seeing us in a direct access situation where we are your first stop after an injury. These are exciting times for i’move, and we are thrilled that you have chosen to Communicate, Celebrate, and Connect with us.